My first memory of having squash was when we lived at the "lake". 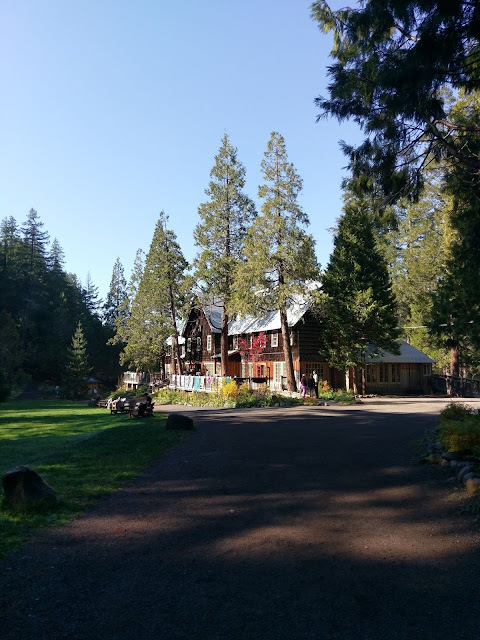 This is what we called our small community of Woffard Heights in the mountains of California. The "lake" was actually named Lake Isabella and we spent every summer fishing, swimming, rock climbing and bridge jumping. When we were not at the lake we were riding horses, hiking, playing with our cousins or working. Our grandparents had a rock bed for a yard and we spent several summers making these huge rock walls. He passed away while I was a teenager and I do believe he felt I was a hard worker. I wasn't mature enough at the time to have "that" conversation with him and really share my feelings of how much I admired and looked up to his example of work. I wish that I could go back for one day and really have a good chat. So what does squash have to do with this? My grandfather was from Texas. I grew up on chicken fried steak, gravy, meat and potatoes and a lot of fried food. 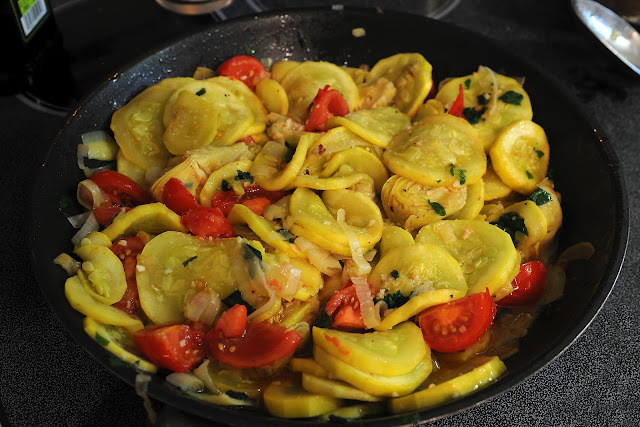 My grandmother would make summer squash for us a lot. It was the "alien ship" squash. That is what we called it, because they looked like little UFO's. She would dredge it in flour, salt and pepper and milk. Fry them in a pan and serve them with ranch. This was the start of my love affair with squash and zucchini. I try not to eat my squash fried anymore and that is how this dish came about. 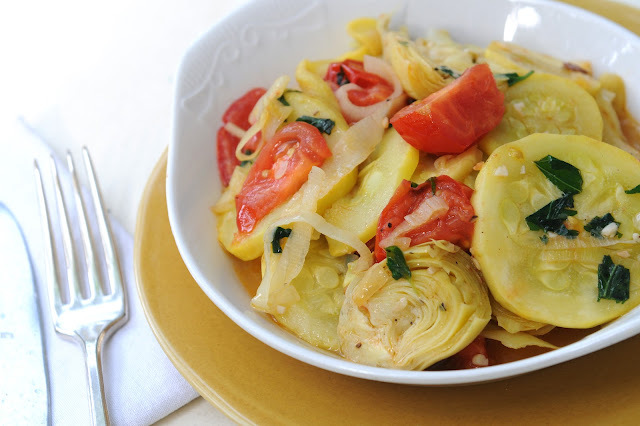 I threw this dish together the first few times with leeks, yellow squash and artichokes. 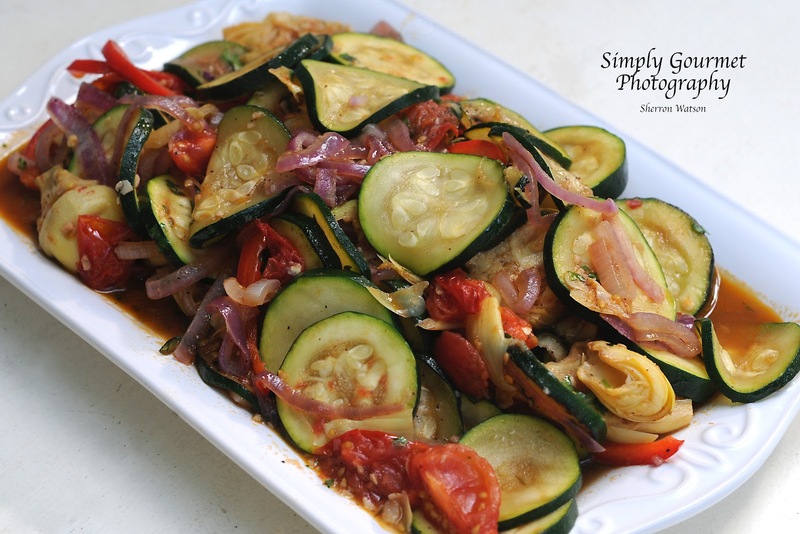 The second time I made it with zucchini, red onion and artichokes. 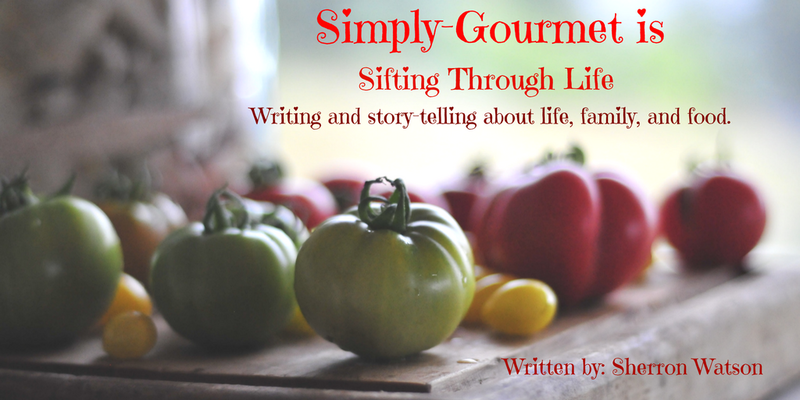 It is one of the best side dishes I have made in a long, long time. The flavors just explode in your mouth. Adding the red tomatoes at the end add that bit of sweet flavor that only a good tomato can do. 1 cup of leeks, sliced in rings. Use the white part. You can use red onion too. 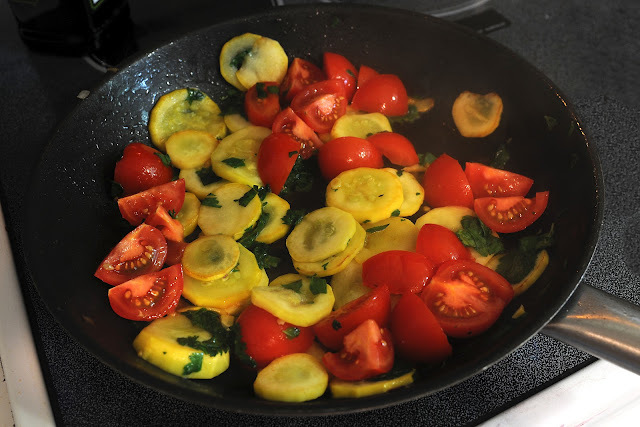 In a large saute pan, add enough olive oil to saute your first batch of ingredients. 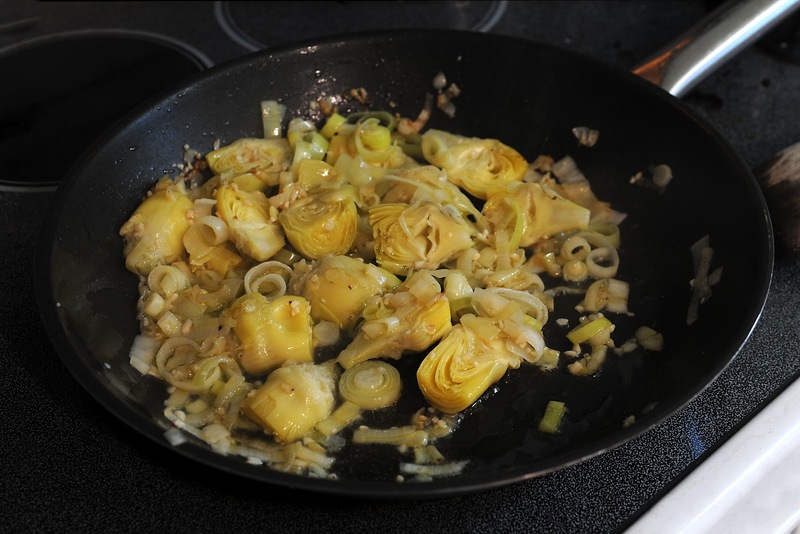 I sauteed the leeks, garlic and artichokes together first. 5 minutes or until the leeks are clear and cooked. Remove this mixture to a large bowl. 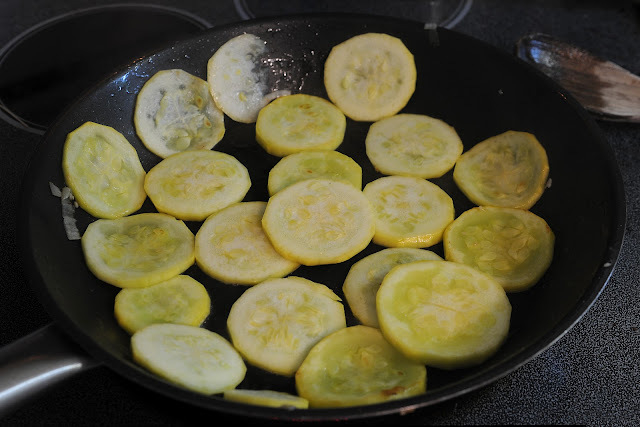 You can steam your squash in the microwave by adding a small amount of water to a microwave safe bowl along with the sliced squash and cook until just tender. 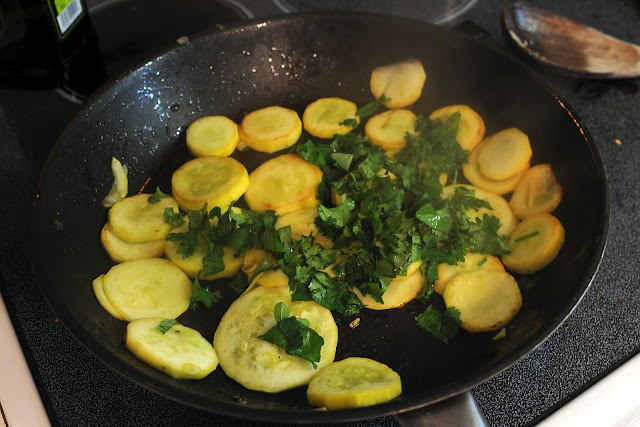 I prefer to cook the squash in my pan so that I get the added flavor of the olive oil and the flavor of sauteing them this way. It took me 3 batches. When each batch is finished add it to the large bowl with your artichoke and leeks. Chop your herbs and toss them into the last batch of squash. Cook for 2 minutes. Throw in the tomatoes and cook for another 2 minutes. Add the contents of the large bowl back into your saute pan and combine. Season with salt and pepper. This is an excellent main dish, side or left over.